Those of you who have some knowledge of your present speaker as revealed by the loftier-minded section of the British Press will be resigning yourselves to a half hour of unrelieved gloom. Indeed, your first view of me, white bearded and ancient, may have turned that gloom into profound dark; dark, dark, dark, amid the blaze of noon, irrecoverably dark, total eclipse. But the case is not as hard as that. 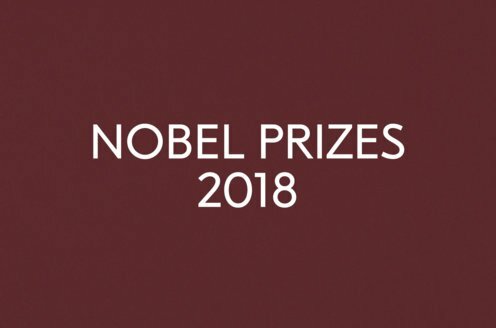 I am among the older of the Nobel Laureates and therefore might well be excused a touch of – let me whisper the word – frivolity. Pray do not misunderstand me. I have no dancing girls, alas. I shall not sing to you or juggle or clown – or shall I juggle? I wonder! How can a man who has been defined as a pessimist indulge in anything as frivolous as juggling? “All day long the trains run on rails. Eclipses are predictable. Penicillin cures pneumonia and the atom splits to order. All day long year in year out the daylight explanation drives back the mystery and reveals a reality usable, understandable and detached. The scalpel and the microscope fail. The oscilloscope moves closer to behaviour. I had better come down, I think. Churchill, Juliana of Norwich, let alone Ben Jonson and Shakespeare – Lord, what company we keep! Reputations grow and dwindle and the brightest of laurels fade. That very practical man, Julius Caesar – whom I always think of for a reason you may guess at, as Field Marshal Lord Caesar – Julius Caesar is said to have worn a laurel wreath to conceal his baldness. While it may be proper to praise the idea of a laureate the man himself may very well remember what his laurels will hide and that not only baldness. In a sentence he must remember not to take himself with unbecoming seriousness. Fortunately some spirit or other – I do not presume to put a name to it – ensured that I should remember my smallness in the scheme of things. The very day after I learned that I was the laureate for literature for 1983 I drove into a country town and parked my car where I should not. I only left the car for a few minutes but when I came back there was a ticket taped to the window. A traffic warden, a lady of a minatory aspect, stood by the car. She pointed to a notice on the wall. “Can’t you read?” she said. Sheepishly I got into my car and drove very slowly round the corner. There on the pavement I saw two county policemen.